Why Does Water Form Hydrogen Bonds? An exothermic reaction gives off heat energy. Condensation is the process by which water vapor turns into liquid water. This typically occurs when water vapor molecules come into contact with cooler molecules. This causes the water vapor molecules to lose some energy as heat. Once enough energy is lost, the water vapor changes state into liquid. Enthalpy describes the change in energy of a system. In the case of water, the "system" is the water itself. At constant pressure, enthalpy refers to changes in heat. 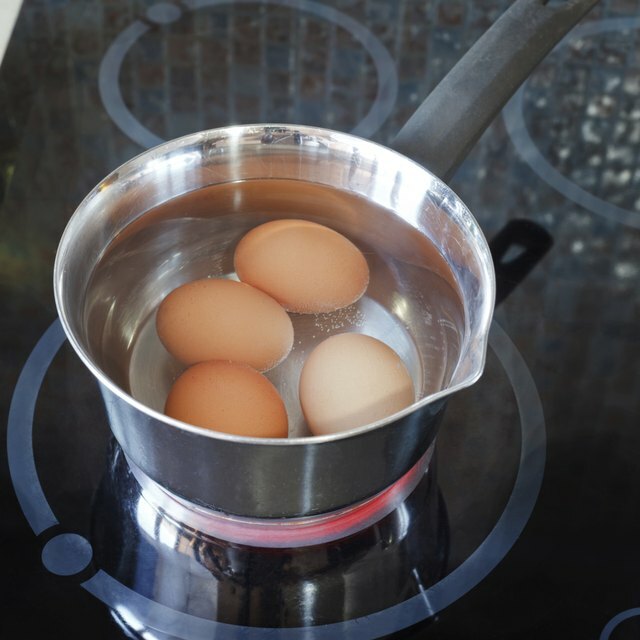 An exothermic processes involves a negative change in enthalpy, or a loss of heat. As water vapor condenses into liquid, it loses energy in the form of heat. Therefore, this process is exothermic. Where Does Water Vapor Store Its Energy? Energy exists within a compound in a number of ways. Molecules can have different amounts and types of kinetic energy. Vibrational and rotational kinetic energy manifest themselves when molecules bend and rotate. Translational kinetic energy is the force that moves an entire molecule. In liquids and solids, the molecules can also interact with each other to form intermolecular bonds. In a gas, the force of these intermolecular bonds is assumed to be zero. The energy in water vapor is translational kinetic energy, and it is dependent on temperature. As temperature decreases, the kinetic energy is dissipated in heat. Eventually, the intermolecular bonds are strong enough to change the state of the water vapor to liquid. How Much Energy Does Water Vapor Lose? When a substance transforms from liquid to gas, it requires energy equal to the enthalpy of vaporization. In order to reverse this process, the system will give off that much energy. Water's enthalpy of vaporization is roughly 44 kilojoules per mole at 25 degrees Celsius. This means that each mole of water requires 44 kilojoules in order to convert to vapor at 25 degrees Celsius. This is also the amount of energy that water will give off when it condenses at that temperature. Water vapor needs a physical site for condensation to occur. Individual molecules of water vapor will not condense without sufficiently large particles to which they can attach. In order to provide a site for condensation, the air must be saturated with water vapor and it must have larger particles in it. These larger particles can be minerals or sufficiently large droplets. Once a water vapor molecule comes into contact with a larger molecule serving as a nucleation site, it can release heat and condense into liquid water. Murmson, Serm. "Explaining Why Condensation Is Exothermic." Sciencing, https://sciencing.com/explaining-condensation-exothermic-9621.html. 26 April 2018.